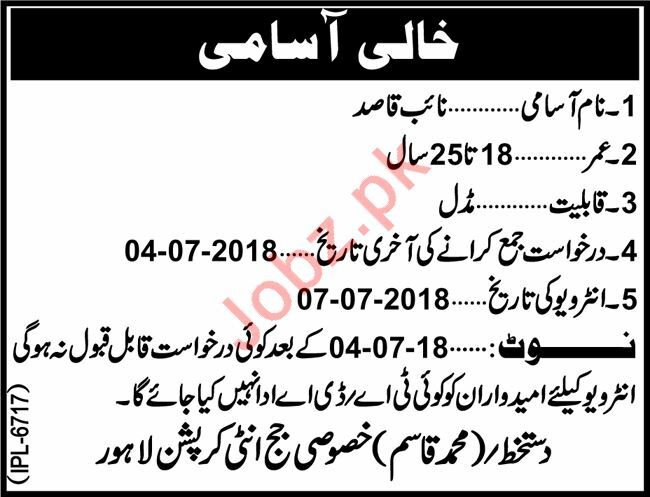 The Anti Corruption Court required urgently experienced and strong person for the position of Naib Qasid in Lahore Punjab 2018. Interview will be held on 07-07-2018. You can apply online at vacancy after registering at http://www.jobz.pk site.